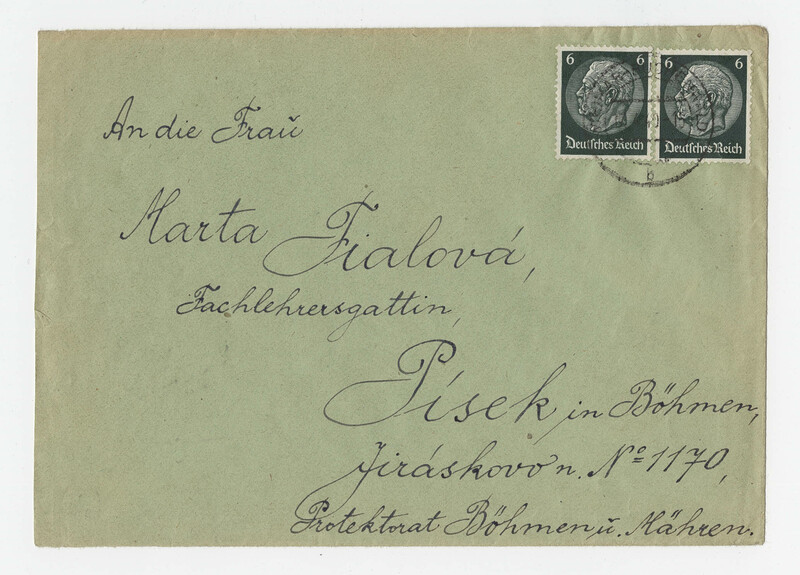 - All letters to his family in Pisek, Czechoslovakia. A few letters have coloured drawings (very rare). Later this prisoner was sent to Erlangen probably to work in a factory. 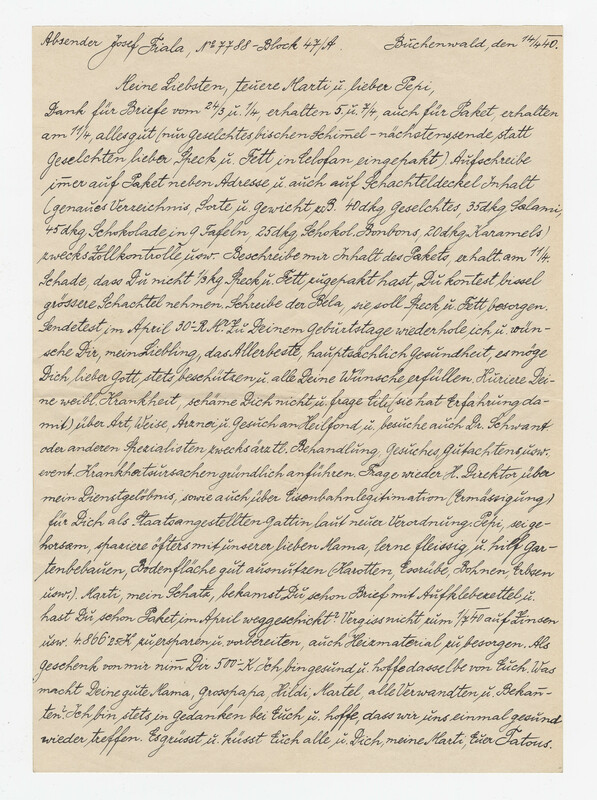 An interesting example of a correspondence from a Czech prisoner who could write without censorship and as many times as he liked. In the early part of the war, this was the case with most Czech prisoners. 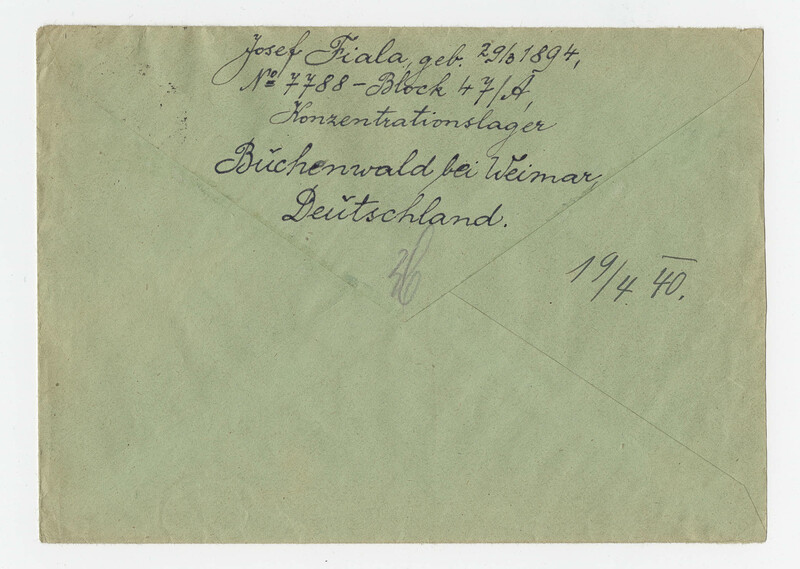 - Lajournade (p.66) reproduces a neutral postcard of 1939 from another prisoner by the name of Fiala (prisoner no.5281) addressed to Pilsen, Bohemia and Moravia. Could it be a parent.